Bats in San Diego often make their homes in man-made structures, such as in homes and commercial buildings. 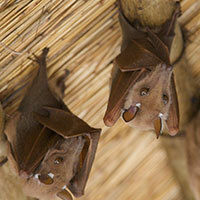 As we encroach on their territory, bats must find new places for the colonies to reside. Their determination and resilience to changing conditions make getting rid of bats challenging, and specialized efforts are often needed for effective bat control. Birds can make a mess of your property quickly. Not only are birds unsightly, but they also can be a health hazard. 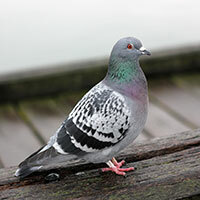 Bird feces can carry diseases, and the birds themselves can carry pests that can affect human health. Coyotes are becoming an ever-increasing problem in San Diego County. With warm weather and a drought, coyotes will move closer into residential neighborhoods seeking water and food. 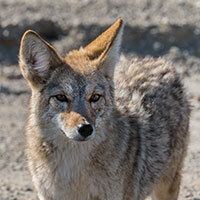 This can make it challenging to keep your pets safe from coyotes. 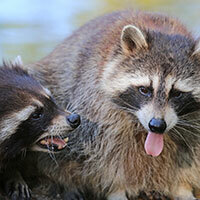 During spring and summer, having raccoons in the attic is a common problem, as mother raccoons are looking for safe places to give birth to there young. Regularly entering attics and crawlspaces, raccoons can cause serious damage, ripping off shingles, fascia, and rooftop vents. 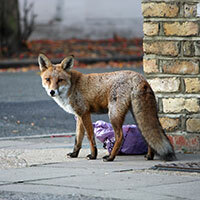 Foxes living on your property should not be taken lightly. Foxes can be dangerous and extremely aggressive, and mother foxes will defend their young if they feel threatened. Rodents can cause serious, even life-threatening, damage to your home. It is said that 25% of house fires attributed to unknown causes are from rats. Rat feces and urine can also carry diseases. 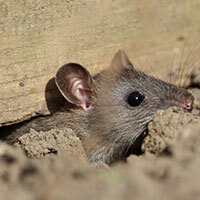 The only way to keep rodents out of your home is proper rodent control and rodent proofing. Opossums are common wildlife in San Diego. They carry diseases such as leptospirosis and tuberculosis. They may also be infested with fleas, ticks, mites, and lice. 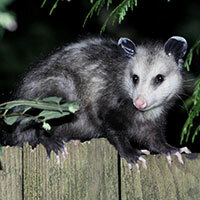 Opossum are hosts for cat and dog fleas, especially in urban environments. Skunks forage at night, entering yards and digging small shallow holes in search of grubs and worms. They often enter sheds and garages looking for a safe place to sleep during the day. 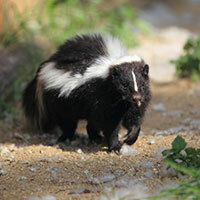 Entering crawlspaces and basements through unsecured openings is a common practice for skunks. Call for the latest information. We offer wildlife control and removal services to nearly all types of critters, so call to get a quote for any removal service you need.